Summer/Fall 2010 BI-Catalog is out! 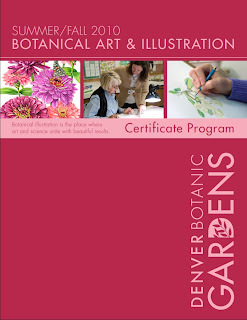 The new catalog for July - December 2010 Botanical Art and Illustration classes at Denver Botanic gardens is out and ready to be downloaded here or by clicking the picture of the front cover on the right hand column (or in this entry). We are offering a full loaded set of required classes and a wide variety of electives with many interesting topics and technique enrichment opportunities. (registration through Arvada Center). 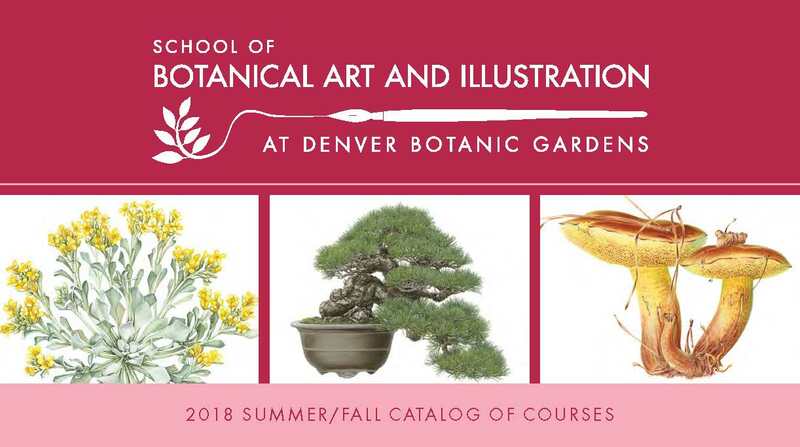 This year we are introducing Gateway Canyons and Colorado's canyon land for the BI-community through two weekend workshops during the summer and fall and a Botanical Illustration Retreat in November. We are also offering a calf vellum workshop instructed by Kate Nessler and our annual Chinese brush painting class with Sally Yu Leung. Please pay attention to the cancellation and refund policies applicable to the guest workshops and Gateway Canyons events. One of my huge work benefits is that I get to hang around in the classroom outside my teaching duties, meet the students and get the pleasure to see all the fantastic art they are producing. 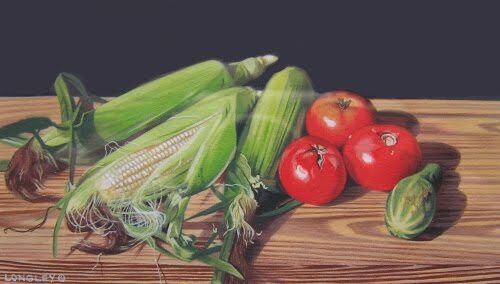 Last night was the final session of the Colored Pencil I class. 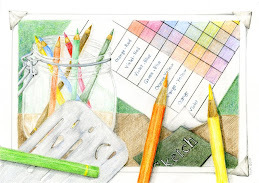 Even though it was late and the students were in the classroom learning about the secrets of Colored Pencil after they ordinary work day, I could feel the energy and the camaraderie radiating all over. I took some random photos of the homework (studies of textures, surfaces and forms) both in the beginning of the class and after some additional final touches. (The students attending were Barbara Fairbanks, Barbara McKee, Cameron Garland, Gloria Cavalier, Kristi Czajkovski, Marj Hopkins, Mary Love, Sandy Low, Sharon Eaton. Annie Reiser was their instructor - congratulations Annie, your students were great!). 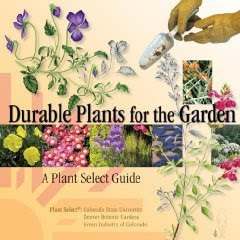 Denver Botanic Gardens Gift shop has an excellent selection of the most diverse items related to the gardens in one way or other. 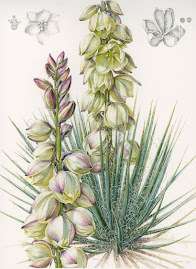 The exhibit catalog From Penstemons to Pines as well as Ann Swan's Botanical Portraits and a selection of note cards portraying the current BI-show are displayed (and for sale) in the most central spot of the Visitor Center/Gift Shop. 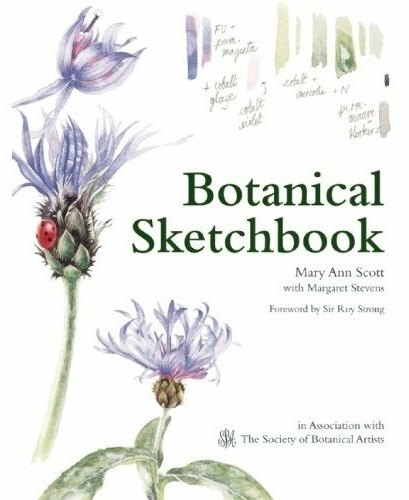 This is an intimate story of one woman's journey from enthusiastic amateur painter to supremely accomplished botanical artist, told through the outstanding sketchbooks and paintings she produced for the Distance Learning Diploma Course run by the Society of Botanical Artists in the UK. Mary Ann Scott and her teacher Margaret Stevens, the authors of Botanical Sketchbook did this book an Association with with the Society of Botanical Artists in UK. The foreword is by Sir Roy Strong. For a detailed review, please click here. 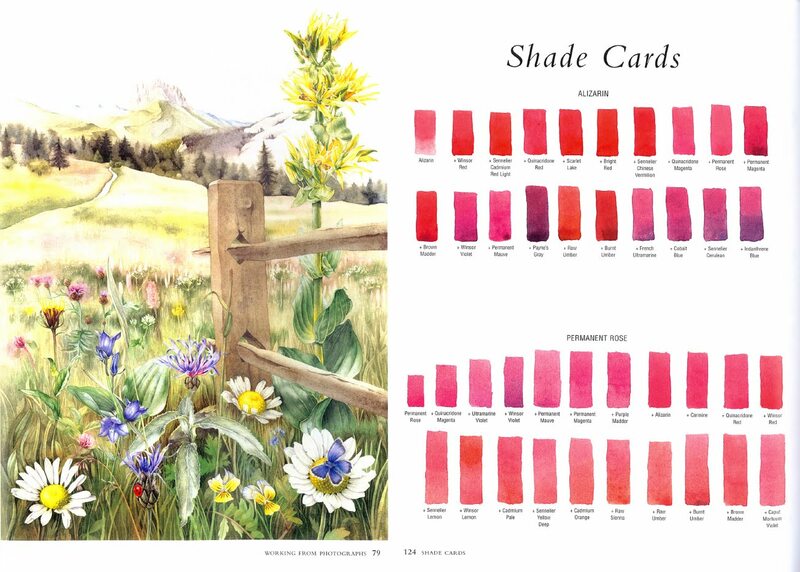 Packed with advices, tips and color swatches, this book provides inspiration for many beginning botanical artists. Marion Mahony Griffin (1871-1961) was the first employee hired by Frank LLoyd Wright and the first woman in Illinois and most probably also globally to be officially licensed as an architect. She was claimed as the most talented member of Frank Lloyd Wright's staff and most of the architectural presentation drawings and water colors that helped Wright promote his practice were drawn and painted by Marion Mahony. After working in Chicago with Wright for ten years she moved to Australia where she lived for 20 years. Mohony designed e.g., the Newman College in Melbourne and the Capitol House, she designed the library building for Lucknow University, India. Before returning to Chicago she designed Canberra, ATC, the capital city of Australia. 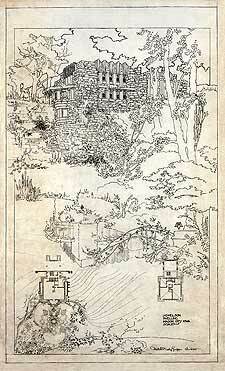 Mahony perfected the Japanese style often used to depict Wright's buildings. She was strongly influenced by the sparse detail, continuous line and skewed perspective seen in Japanese prints. 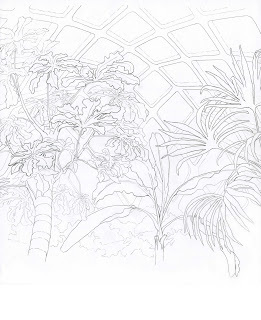 Learn more about the life of Marion Mahony Griffin and about her botanical drawings by attending a 5-week Wednesday afternoon Botanical illustration class with Karla Beatty (for detailed information please click here). We had a very successful opening reception for our 20th Anniversary exhibit with approximately 100 guests. Angela Overy, the founder of the program was among the celebrating guests as all of the current instructors, many former and present students and other BI-fans. The companion publication, an extended exhibit catalog for our 20th anniversary exhibit From Penstemons to Pines has arrived! 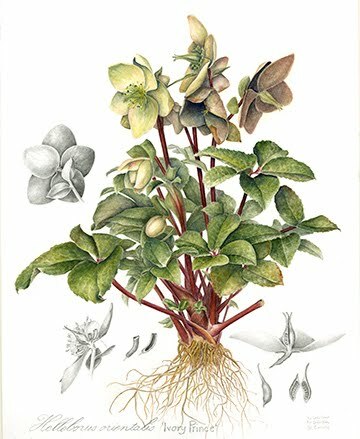 This 80-page full-color catalog includes plates of each artwork (33 illustrations) in the exhibit as well as sections on the history of botanical illustration, how-to techniques for different media and an introduction by Dan Johnson, Curator of Native Plants at Denver Botanic Gardens. Catalog will be available at the opening reception, Sunday April 18th, 1-3 p.m.
You can also get the the catalog from the Gardens Gift shop and from Classroom C.
American teenage girls in the turn of 18- and 19th centuries were trained to produce disciplined handwork to prove to potential suitors that they had patience and refined tastes. The best known examples of American Teenage girls’ handwork are samplers embroidered with landscapes and poetry. 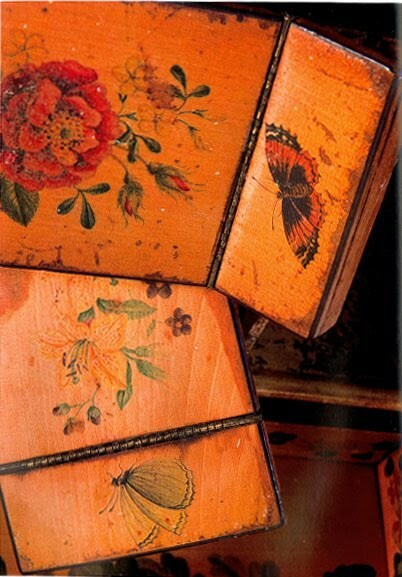 The girls also learned to paint floral motifs on maple, birch or satinwood using combination of inks and a color wash or watercolor which then was sealed with shellac. The paintings were often combined with beautiful script written with reed or quill in American round hand, a less ornamented form of the English round hand. A few hundred of the wooden objects are known to have survived in museums and private collections. 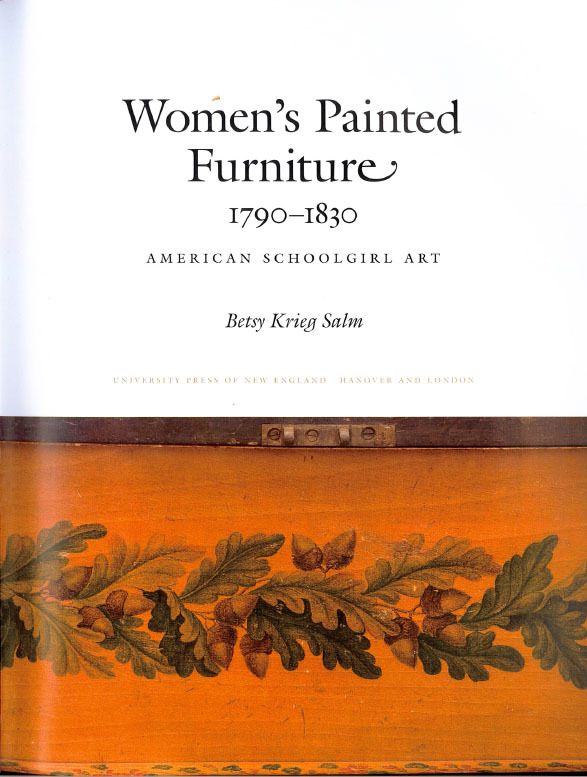 Betsy Krieg Salm, a historian in Interlaken, N.Y., is the author for a beautifully illustrated, comprehensive study of “Women’s Painted Furniture, 1790-1830: American Schoolgirl Art” (University Press of New England). 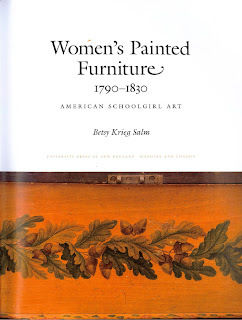 In addition to the documentation of the cultural and aesthetic history of the form she also includes a detailed description of the process, tools and techniques used by the woman artists during 1790-1830 during the time the watercolor paintings on wooden furniture were very popular among them. Majority of the 268 images included in this book are not available elsewhere. The styles, designs, and patterns of more than 200 pieces of women's painted furniture are analyzed. 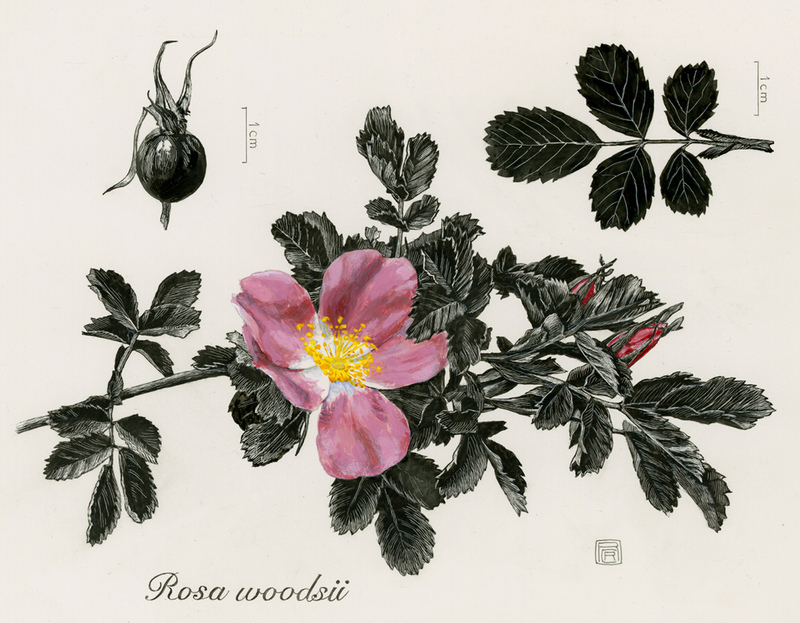 Primary sources used by the author include genealogies of artisans and chemical analysis of antiques, recipes, patterns, instructions in methods and technique, and the original, mainly English, sources of artistic inspiration for painters and needle workers. This book is an absolute treasure and a beautiful inspirational example of the many application and possibilities of the Botanical Art and Illustration. Degener’s Beardtongue (Penstemon degnerii), a rare Colorado endemic forb sets fruit using a combination of outcrossing affected by bees and a small amount of self-pollination in the absence of bees. Effective pollinators were determined by linking visitor frequency, behavior and body pollen in 2007 and 2008. This study demonstrates the importance of observing and understanding long term plant and pollinator interactions in both space and time when attempting to manage rare endemic species. Carol English worked for several years as a naturalist and interpretive specialist for Jefferson County Open Space. While working as a naturalist, she became increasingly interested in the relationship between native plants and pollinators. Subsequently she completed her master degree in biology with Dr. Leo Bruederle at University Colorado Denver in 2008. 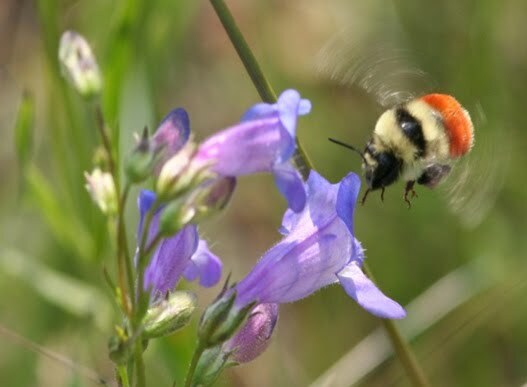 Her research included detailed field and laboratory work over several years to determine the effective pollinators for the rare Colorado endemic, Penstemon degeneri. 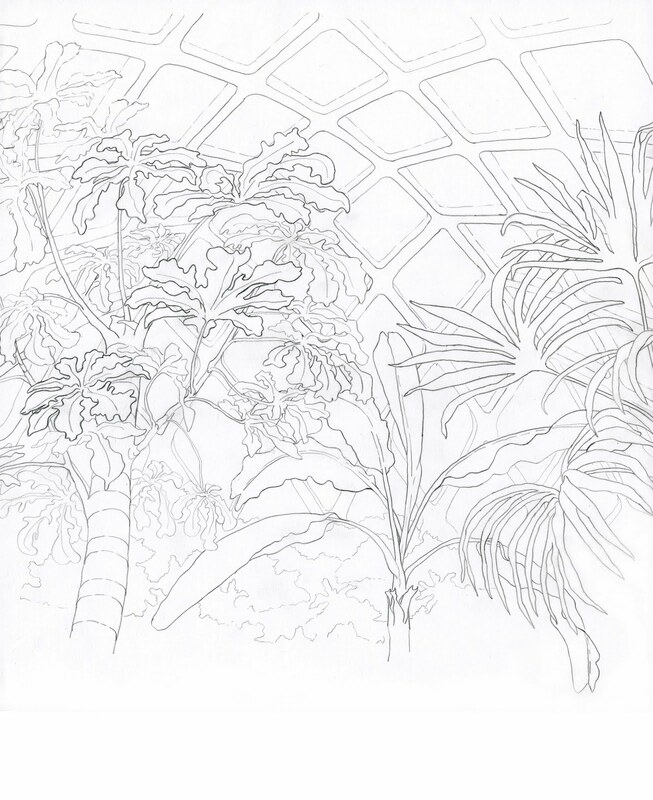 Our specimens often don’t last long enough to finish a drawing and complete the plate. Learn to make your own maquettes and other models and get critical information about the foreshortening, shadows etc. These reference tools are instrumental in creating a realistic illustration. The master of model making and creation of imaginary objects is James Gurney, please see the earlier blog entry about his resent publication by clicking here. 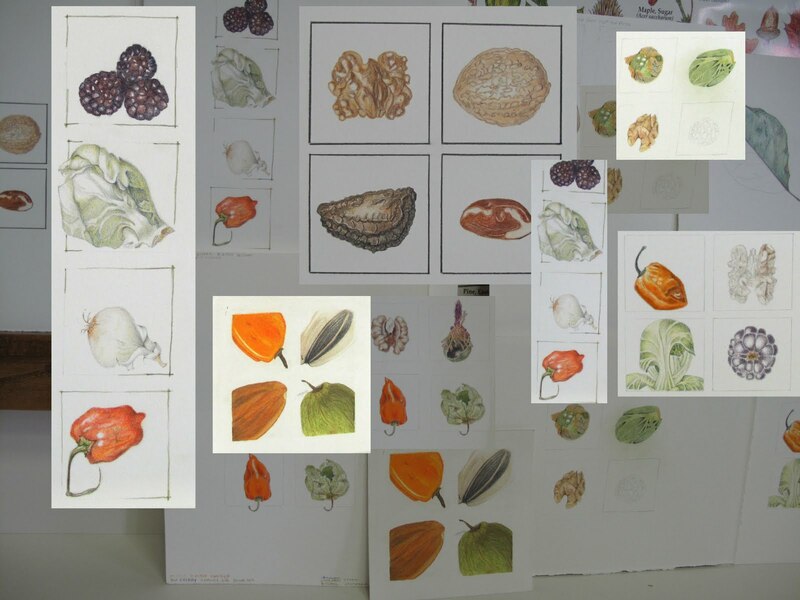 Botanical Art and Illustration Program is offering a two-day workshop in Botanical Models – we have some seats available, more information and to register. 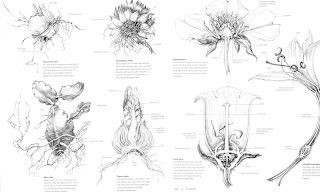 Botany for the Artist is a visually stunning guide, not just for anyone wishing to master the art of drawing but all those who are passionate about plants and how they are portrayed. 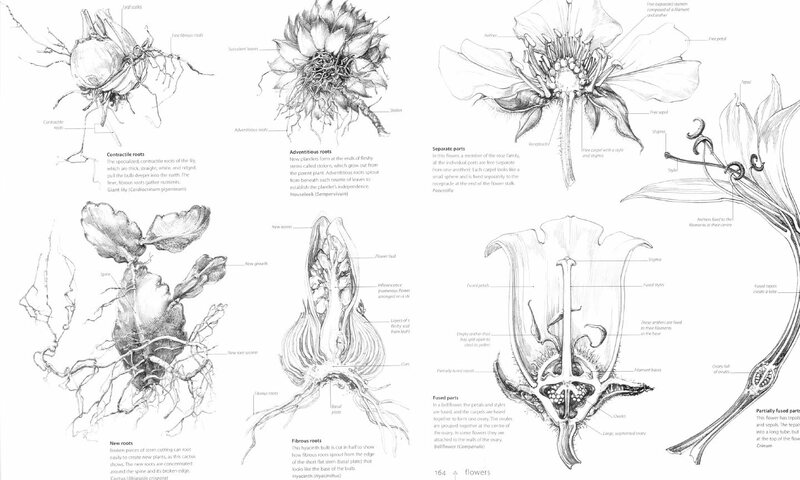 Understanding the form and external components of the plant is the foundation for any botanical illustration. 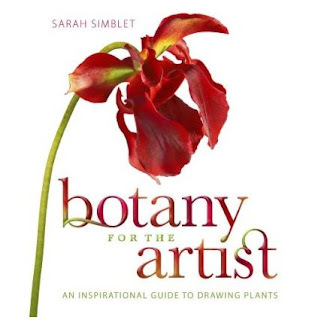 In Botany for the Artists Sarah Simblet illustrates the amazing diversity of plants including mosses and algae. She also incorporates macrofungi (mushrooms) in this book. 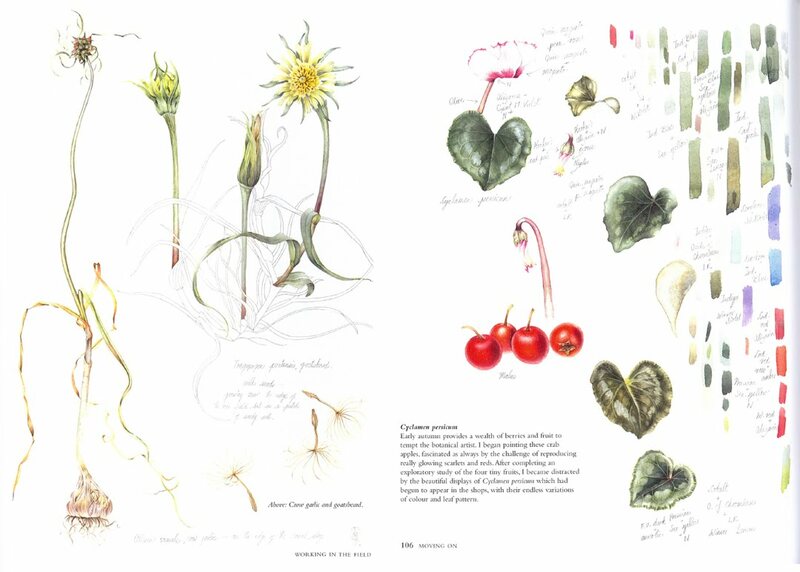 Complemented by stunning photographs the author’s exquisite drawings illustrate the structure of roots, stems, leaves, flowers and fruits. 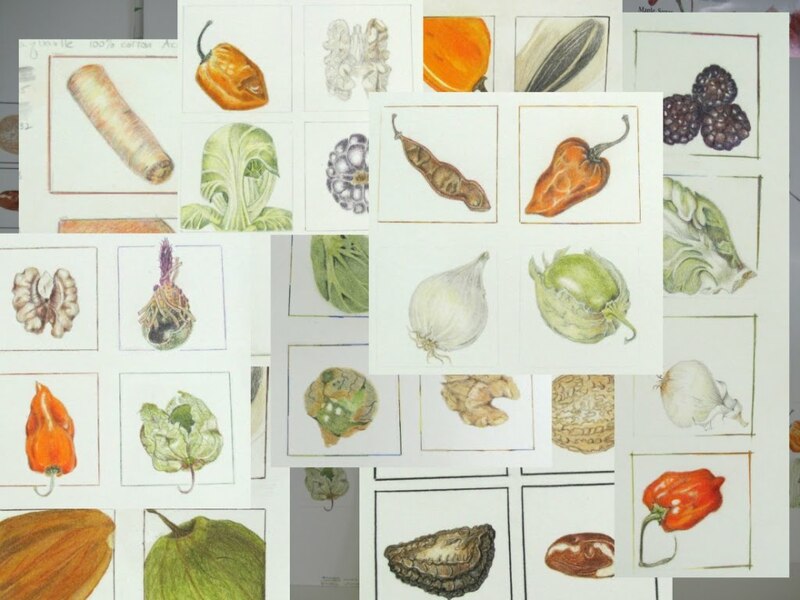 She also includes several ‘Master classes’, examples from Renaissance masters to contemporary illustrators to show how botanical artists have portrayed plants over the centuries. 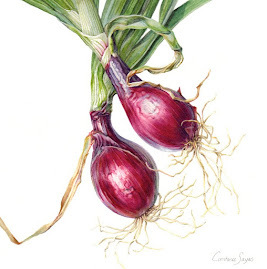 Sarah Simblet is an artist, writer and freelance lecturer in drawing teaching in the national Gallery of London and at the University of Oxford. Sam Scott-Hunter is renowned for his powerful images. The botanical accuracy in this book is verified by Stephen Harris, Oxford University Herbaria. 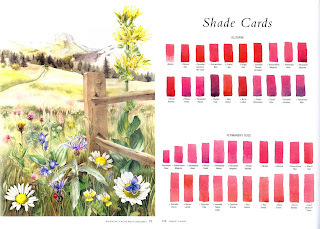 Warmly recommended for Botanical illustrators! 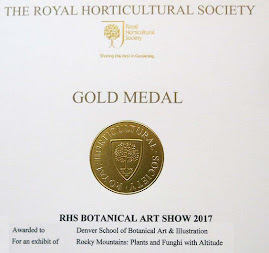 From Penstemons to Pines: Illustrating Rocky Mountain Natives offers a world class juried botanical illustration exhibition with an important ecological message. Gates Garden Court, Denver Botanic Gardens, April 10 - May 25. 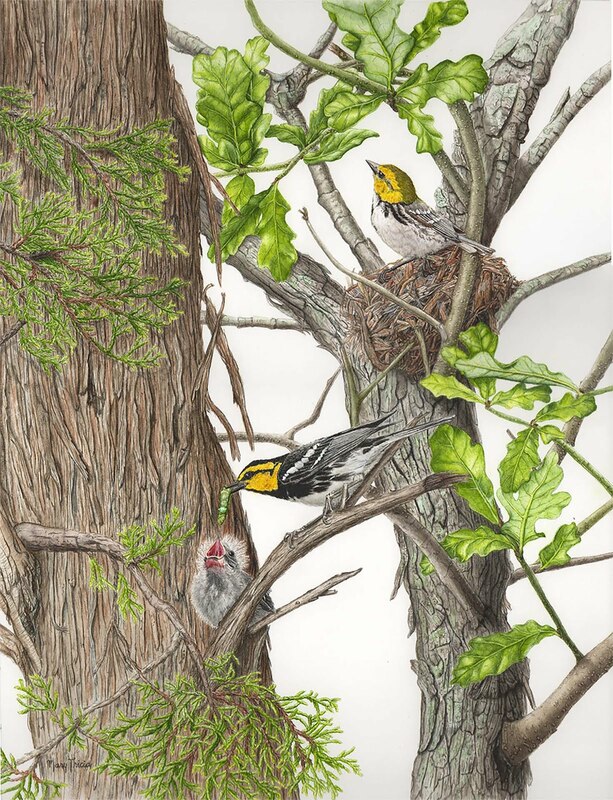 Reception: Sunday, April 18, 1-3 p.m. 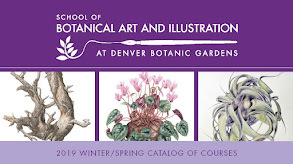 This exhibit commemorates the 20th anniversary of the Botanical Art and Illustration Certificate Program at Denver Botanic Gardens. Companion publication From Penstemons to Pines. 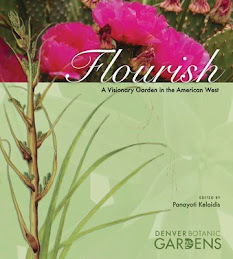 Techniques Illustrating the Native plants of the Rocky Mountain Region will be sold at the reception. Thirty three beautifully rendered works - Congratulations artists! Doomsday Vault collections have hit a milestone! 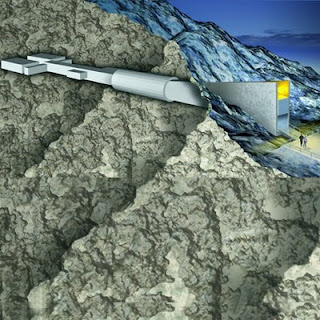 The Svalbard Global Seed Vault is Norway’s answer to a call from the international community to provide the best possible assurance of safety for the world’s crop diversity and the ultimate safety net for one of the world’s most important natural resources. (Norway owns the Vault, but not the seeds it contains). This seed vault holds duplicate samples, or "spare" copies, of seeds held in genebanks worldwide. The Nordic Gene Bank (NGB) has stored a backup of Nordic plant germplast as frozen seeds in an abandoned coal mine at Svalbard since 1984. Since January 1, 2008 the Nordic Gene Bank is an integrated part of the newly formed Nordic Genetic Resource Center (NordGen). The seeds are stored at -18° Celsius (-0.4° Fahrenheit). Locally mined coal provides power generation. Even if the equipment fails, it will take a long time before the temperature rises to the −3 °C (27 °F) of the surrounding sandstone bedrock. On 10 March 2010 the seed count at the Svalbard Global Seed Vault passed half a million samples. Each sample can contain up to 500 seeds so the total number of seeds presently being stored is approximately 250 million individual seeds. This will become the most diverse collection of food crop seeds anywhere on Earth. The Vault is designed by Peter W. Søderman of the Barlighaug Consulting. To read more about the art in the vault, please click here, and more about the construction, please click here. The bigger the better – OR? Miniature painting traces its roots back to the book paintings and illuminated manuscripts created in the 7th century. In traditional miniatures every detail of the subject matter is miniaturized. 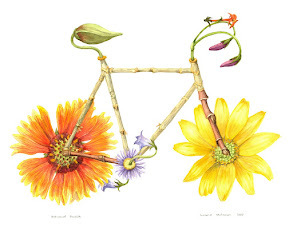 The final art shows exemplary composition, use of media and application technique. The Royal Society of Miniatures Painters, Sculptors & Gravers was founded in 1896 in England.The Miniature Painters, Sculptors & Gravers Society of Washington, D.C. was initiated in the beginning of 1930s. Today Miniature Artists of America is the only honor society in the world recognizing miniature artists. You can find up-to date information about other Miniature Art Societies and Organizations here. We bring the frames, you make the artwork! This three day workshop will inspire you to complete two or three (or more!) finished and framed botanical works, all on a very small scale. Using methods to draw small subjects bigger and larger ones small, create a collection of miniatures in a fun three-day format. Working to size for small frames (we provide the frames), learn how composition, line, form and precision are crucial to convey the message in a botanical miniature. For more information and to register, please click here.